Cheam Windows offer Aluminium Sliding Windows as well as our great range of PVC-u Sliding Sash Windows. 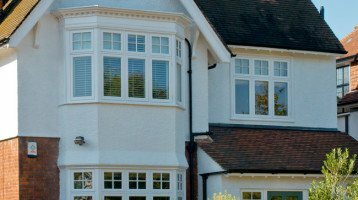 But why should you think about an Aluminium Sash Window? We are one of only a few firms to offer an Aluminium Sash Window. There are many homes and flats built in the 1970’s and 1980’s where original solid framed sash windows were fitted. Often these must be replaced with the original windows. 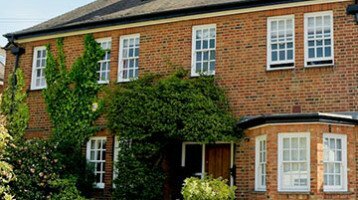 Our Sash Windows have been used in many homes in London and Surrey. 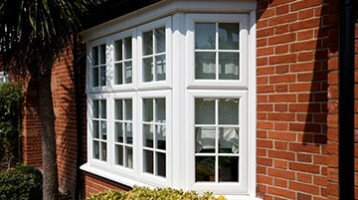 They have been fitted at as a new window or a replacement for older sliding Sash Windows. 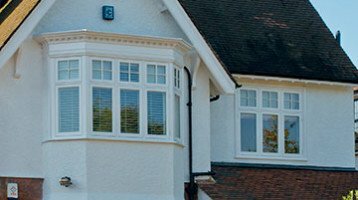 Cheam sliding sash windows have been around for over fifty years. The modern type of this successful aluminium sliding window now boasts many new features. Our sash windows have the slimmest meeting rail on the market at only 36mm and this has so many benefits. You could replace old timber windows with PVC-u sash windows. But there are a growing number of home owners who now prefer Aluminium. Our Aluminium Sliding Windows have these great features. The Cheam Aluminium Sash window has ultra slim profiles. You can choose either a slim 43mm bottom rail as standard or the option of a deep 93mm rail. Meeting rails are only 36mm high and that makes them the slimmest available. All of this means more glass area and lets more light though the window. We also offer our sash windows with a range of cill sections, trickle vents and a range of white, black, silver or bronze hardware.